Today, we have more and more smartphone models available in the market and each day different models from different brands are arriving too. We can choose from a low-end smartphone to high end as per our requirement and the budget. But as per most of the market shares, it is clear that mid-range budget smartphone is the most popular segment because vast majority of people are looking for budget smartphone itself. Today we are also going to make a quick review of a feature rich budget smartphone, The Huawei Nova. 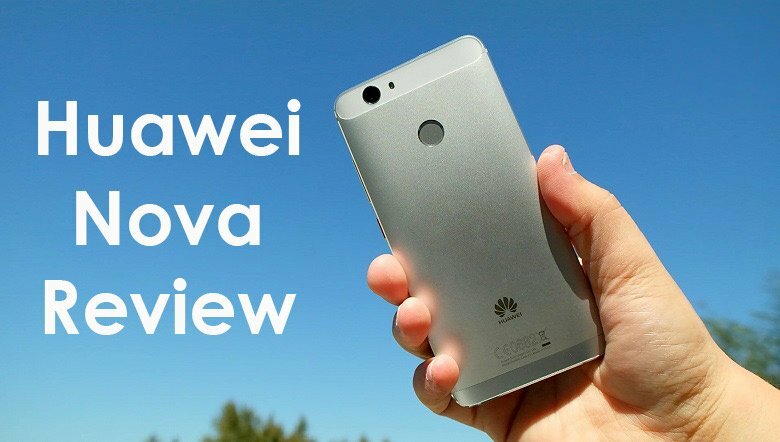 Huawei Nova is a mid-range smartphone released by the end of 2016, however the smartphone reached the global market late and I do have a chance to get the mobile by the mid of 2017 and after the usage of more than 3 months I am doing this review which is based on my experience with the handset. I bought the handset from UAE market which is priced at AED 599 which is roughly $180. In this price range we can say that this phone is amazing at this segment. So, let’s see the features and specification in detail. Design is the first thing I want to share with about this phone. At this price range, we can say it in a one word, amazing. The smartphone looks premium with its metallic body and curved display. Huawei Nova features a 5-inch IPS Full HD display with a resolution of 1920×1080 and display density of 443 pixel per inch. Even in the first look, you may notice a major difference in the display when compared to other smartphones in this price segment. The display is quite bright and colorful. Also, the display is of 2.5D Glass which makes the handset a curved edge on the display. The smartphone is provided with 2.0 GHz octa-core Snapdragon625 processor with 3GB or RAM. This makes the handset do all the process fast. You may not find any delay or any issue while working with different application at the same time. Even during gaming also, keeping other apps in the background, you may not find any lag. One more thing. You may not find any delay in this phone even if your internal memory Is almost full. Where as in my experience with other handsets when the internal memory is getting full, the speed of the mobile also reduces. The handset is provided with a 32GB internal memory which can be further expanded via microSD card. Here since the mobile is packed with hybrid SIM slot, you can use the 2nd SIM slot for putting the memory card and can be expanded up to 256GB. So, memory won’t be a problem here. Huawei Nova features a 12MP autofocus camera on the rear side and an 8MP fixed focus camera on the front. The rear camera can take 4K videos and the quality of the video is good. However, the camera does not support image stabilization. Hence sometimes you may find the footage are shaky too. The front camera is good enough for video call and selfies. I installed some gaming applications also on this phone to test the handset especially its performance with multitasking too. I never find any lag of any response delay with the handset. Because in many reviews games are the major factor to assess the performance of the smartphone, mainly graphics, speed, response time etc. Considering that, I also installed different applications like Roulette, Racing, Puzzles, etc. I am impressed with the performance, so if you are a fan of online mobile games, then no worries, you can consider this smartphone in your list. The smartphone as mentioned above comes with a hybrid dual-SIM and which accepts Nano sim cards on both slot. If you want to use a memory card, then you must use the 2nd SIM slot for it. The handset comes with Android 7 Nougat. The handset is packed with a 3020 mAh battery and the charger is a USB Type C.
Even though we considered the good points of the handset, I also have to say some cons of the handset too. The handset runs on Android Nougat, but the software have a bug in it. Since the Android 6 and above have permission management feature for all the apps, we are asked to allow or deny the requested permission when we install a new app on the mobile. But in Huawei Nova, the allow button will not works sometimes, which may be fixed in the next update. The handset supports Hybrid-Dual SIM, in which you cannot put 2 sim and memory card together. The Camera is not having image stabilization feature which makes the videos bit shaky. Even though there are few problems with this phone, we can consider this handset as a good option in this price range. The phone comes with almost all the feature that are available in high-end smartphone and also the design is premium too. So, for my its one of the good choice.